With all the flavors to fill your mug, chai lovers are discerning with what they like and don’t like. The truth of the matter is: what you look for in a chai can say a lot about you. So be choosy with your chai. Which flavor is your perfect match? Original: You don’t pick the flower petals—they pick you. Your friends’ and family’s adoration knows no bounds, and you are selfless in sharing your love for chai with others (including the furry ones at the foot of your bed). Laid back, you’re often last to update your relationship status and enjoy a quick chai fix to perk up your afternoon. Spiced: A little extra spice on Valentine’s Day never hurt anyone. And even though Spiced Chai’s blend calls for all the traditional spices, you’re far from traditional. You’ve always enjoyed a little adventure in your life, and you wait for no one. 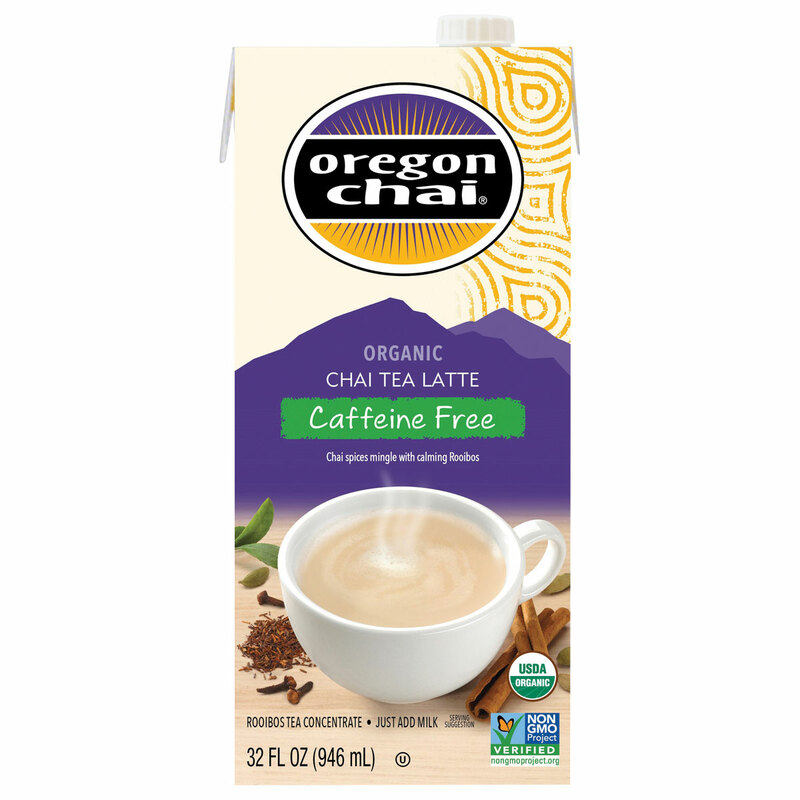 You enjoy a chai that can keep up with your daily routine of escaping the routine. Slightly Sweet: When things go just right, that’s when you shine. You’re a mediator, always knowing what to say to bring two sides to a compromise. You’re never afraid to meet in the middle on date night, nor do you settle for that someone too sweet or too rough. A cup of Slightly Sweet is just enough to smooth out your day. Sugar Free: Sometimes it feels like your fate is out of your hands. But you roll with it and have no problem saying, “Bring it on, universe.” Whether you’ve found the love of your life or are still searching, count your stars, because there’s a perfect fit just for you. Out of necessity or just out of living life a little healthier, a cup of Sugar Free Chai brings balance to your universe. Vanilla: You’re so sweet—and your friends know there’s nothing Vanilla about you. Being kind goes a long way with you on both the giving and receiving end. You don’t mind a Dirty Chai to balance out your day, but will always end on a sweet note. Caffeine Free: You enjoy the energy of a room of people as full as your mug, but only for a time. You do take note at the little things and enjoy a good ponder and Me Time moment. In fact, a warm chai at bedtime never sounded so good. When your day is done, a cozy bed and furry feline is a the perfect way to wind down. I recently had a warm Oregon chai tea that tasted like honey. It was absolutely delicious! Never having had this before, I was wondering if all chai tea tastes this way or did my coffee shop do something to make it taste like honey. If it was called that, would it have to have been one of your products or can any chai tea from Oregon be referred to as this? Hi Becky — Our Oregon Chai Tea Latte concentrates do contain honey, although cafes often customize beverages. Your local barista may be able to tell your their secret. 🙂 Thanks! New to your product . Love the Chai Tea Latte. Wondering how much caffeine is in your product. The packaging doesn’t really say. Is it the same as a cup of coffee? Hi Julie — The Original Chai Tea Latte Concentrate contains 30-35 mg of caffeine (about the same as a lightly brewed cup of black tea). You can find out more by clicking on each product page here: http://shop.oregonchai.com/. Thanks! Found some concentrate that for pushed behind other items in cupboard…it is two months out of date. Is it still safe to consume. Just started a new job and don’t have money to replace but would love to enjoy some. Hi Bettina — We do not recommend consuming any of our products past their expiration dates. Thank you! Nice post. I’d been examining continuously this website that i’m impressed! Very useful details particularly the last element 🙂 I maintain these info a whole lot. I’d been looking for this particular selected information for any quite a while get rich blogging program . Cheers and finest involving fortune. My co-workers told me about Chai tea so I tried it for the first time this week!!!! Do you know in the future if more flavors will be created? Maybe around the holidays?? I’d love a Peppermint or general mint flavor…. Hi Lynn! We have a lot of different flavors that you can explore here: https://www.oregonchai.com/our-products/. You can use our store locator to find specific flavors carried in your area.